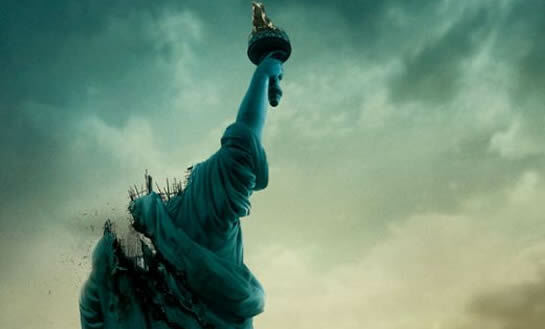 So, I like everyone else had to see Cloverfield the movie after all of that buzz video they released. Well here is what I have to say: It was UNBELIEVABLE not great, but good. My girlfriend and I agree that those are the best words to describe this movie. I will break down exactly what I mean. Before I go into the details, let me tell you Beowulf in 3D IMAX was freaking awesome. We got to the movie late so we got stuck in the worst seats possible: the first row on the very left seat. Despite this the 3d effects were still spectacular and gave you a whole new way to look at movies. This is the best 3D movie I have ever seen, and I hope it will start a trend. I have lived in San Francisco for about 4 months now. Time has been flying by, and although I feel like I have done a lot since I have been here, when I reflect back on time it seems like I have only been here a week. There is a feeling of anxiousness that is building up in my body. I have become irritable to the point where it even shocks me. All the beauty I saw in this city when I first moved here has been replaced by the sight of bums and odor or urine. The other day I decided to go watch “The 11th Hour” at the Red Vic on Haight Street. It has finally put in perspective why these strange emotions have been bubbling up deep inside my soul. I have talked about Digital Rights Management and how it impacts people in an older post DRM Free Audio Movement. Well, I found a few sites that try and help with the movement that I thought were worth bringing up to peoples attention. The first site shows you Where to Find DRM Free Vidoes . It looks like its a work in progress but hopefully the moderator will pick up and start to add some more DRM Free resources like how to remove DRM with DRM Removal Software. I do not know whats up with the guy who designed this site it looks like a Sci Fi channel, but I kind of like it. The other site is DRM Free Audio . These guys are a little bit better at having fleshed out web site. There is some good content including a review of some free drm removal software for music. These guys also have a pretty sweet widget where you can check out some of the library from Amazon. So if you are looking for DRM Free Music you can check them out. These sites are works in progress, but it looks like they were just created so I am sure good content is going to come with time.